If you haven’t already, be sure to register for a campus tour & admission presentation. 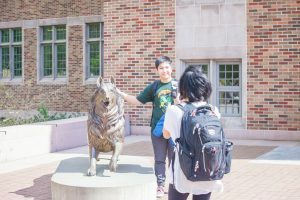 Campus tours leave from the Husky Union Building (HUB), Welcome Center, room 106. Please Note: Questions about and changes to scheduled tours or info sessions should be directed to the Office of Admissions and not the HUB or HUB staff. The Office of Admissions is located in suite 301 of Schmitz Hall. 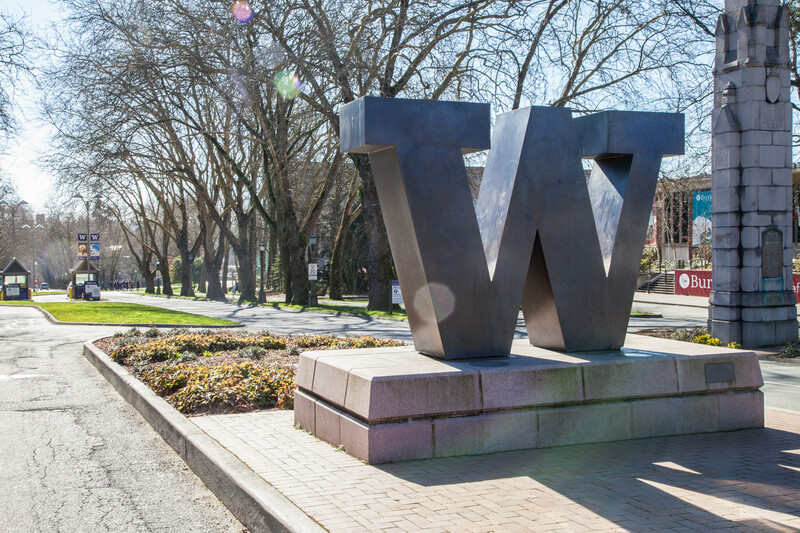 Hours: Monday – Friday, 9:00 a.m. – 5:00 p.m., except UW closures. By bus: More than 60 bus routes serve the University District, including many with stops right on campus. By Link light rail: The UW light rail stop is at Husky Stadium, a 10-minute walk from the Husky Union Building (HUB), where campus tours and information sessions take place. The UW stop is a 45-minute ride from Sea-Tac International Airport. By air: Sea-Tac International Airport serves Seattle and is about 30 minutes from campus by car (during heavy traffic, this may take up to an hour). From Interstate 5 (I-5), northbound or southbound Note: Do not use the express lanes. Take exit 169 (NE 45th St) toward 45th St.
Take a right turn from I-5 N or a left turn from I-5 S to travel east on NE 45th St. for about half a mile. Turn right on 15th Ave. NE and continue for several blocks to NE 41st St.
Schmitz Hall is on the right (west) side of 15th Ave NE. Take SR 520 westbound toward Seattle. Take the Montlake Blvd. NE exit, then turn right (north) onto Montlake Blvd. to cross the Montlake Bridge. Just past the bridge, turn left on Pacific Ave., and continue west for several blocks. You will pass the UW Medical Center and Health Sciences complex on your left. Turn right onto 15th Ave. NE and continue north about three blocks to NE 41st St.
Schmitz Hall is on the left (west) side of 15th Ave NE. If you drive, we recommend getting to campus at least 30 minutes before your scheduled visit to allow time to park and find your way to your destination. When you arrive, visit one of the gatehouses to purchase a permit. The gatehouse attendant will direct you to a parking lot. Seattle weather is typically mild. A hooded jacket or umbrella is often a good idea, depending on the time of year. During extreme weather conditions, visit the UW homepage to ensure the campus is open. In the event that campus is closed, all visit activities will be cancelled. In March and April, don’t miss the Yoshino cherry trees blooming all over the Quad. But don’t worry if you visit another time — there are 200 other types of cherry trees around campus that bloom after the Yoshino cherry trees. Follow their progress on Twitter. The main University Book Store is located at 4326 University Way NE, also referred to as The Ave. Can’t make it during your visit? Stop by the Husky Union Building (HUB) location (closed Saturday and Sunday) instead. From street food to cafes and everything in between, Housing & Food Services has your next meal covered. With over 35 options for on campus dining, find something near you! Wear comfortable shoes. The campus tour covers 0.8 miles. Even if you’re not taking a campus tour, you’ll want your feet to stay happy as you travel to and from your destination. Request disability accommodations. 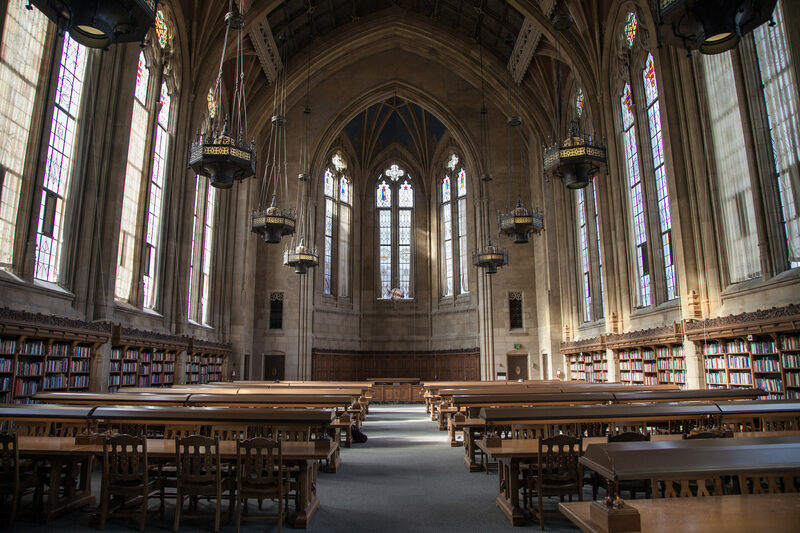 The University of Washington is committed to providing access, equal opportunity and reasonable accommodation in our services, programs, activities, education and employment for individuals with disabilities. 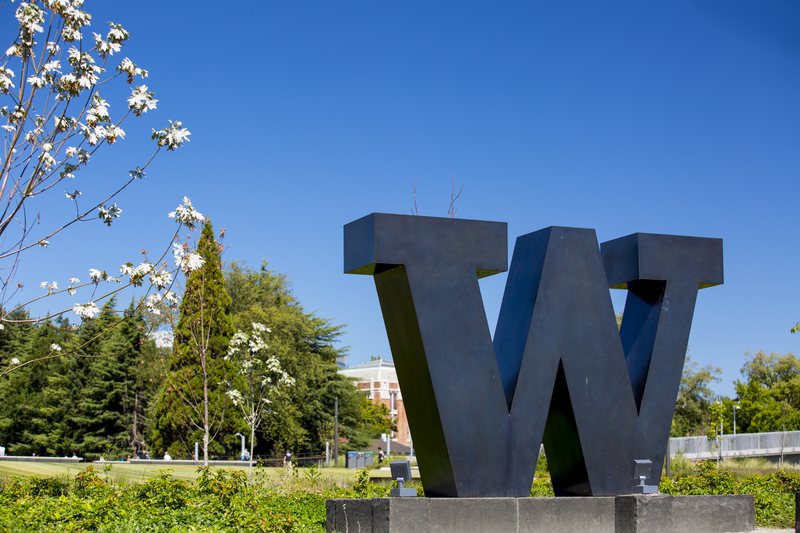 To request disability accommodations for a campus tour, please contact the Disability Services Office at (206) 543-6450 (voice), (206) 643-6452 (TTY), (206) 685-7264 (fax) or dso@uw.edu at least 10 days in advance of your visit.